This is my last week of summer vacation at home. Five days, really. Saturday is off to the Bay, then Kauai, the Oregon coast, teacher retreat and back to work! Talk about a whirlwind! No complaints out of me, truly. I will be sad to see my summer go, but I also remember the years spent with three weeks vacation, total. Oh, what I would have given for these glorious seven weeks of summer then. Now, I just feel lucky. 1. I am reading up a storm. Finished bird by bird and The Snow Child. Started Sarah’s Key this weekend, already 2/3’s through. bird by bird, Anne Lamott: I sound like a broken record, but this is my favorite book on writing, to date. Read it. The Snow Child, Eowyn Ivey: Based on an old fairy-tale, couple in Alaskan wilderness makes a child out of snow, dark story of magical realism unfolds. Slow but good read. Sarah’s Key, Tatiana De Rosnay: Modern-day journalist uncovers a tragic story of loss from the perspective of a child during the Holocaust. Amazingly quick and engaging read. 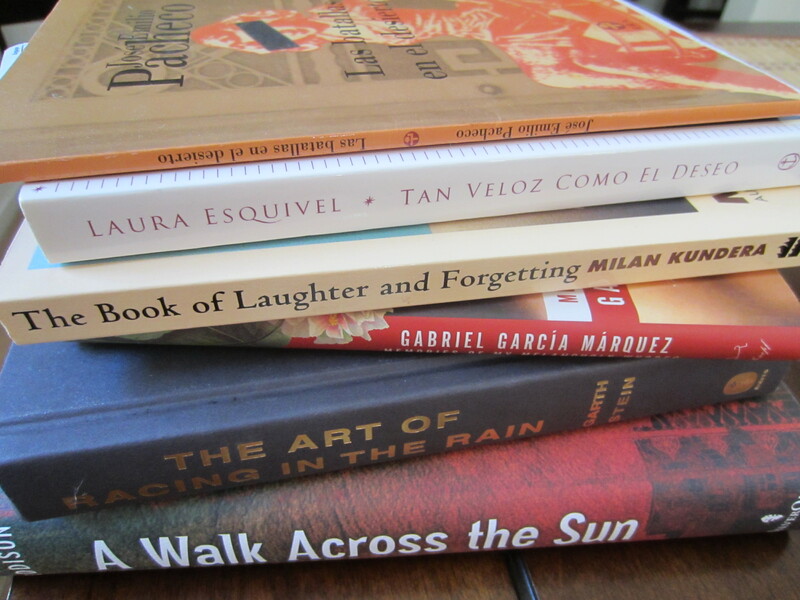 All the books that remain on my overly-ambitious summer reading list. Hope to make it through a few more! 2. Yoga, anyone? In addition to squeezing in those last few 90 minute daytime classes that are impossible during the school year, I’m also getting ready for yoga on the road, thanks in large part to this awesome post on yoga while traveling. My new travel yoga mat arrived this morning. It is perfect for keeping my practice going, and will also double as a great mat cover for my regular hot yoga classes. This super thin travel mat will fit easily in my carry-on and make yoga on the beach much more enjoyable! 3. I am writing, writing, writing. Suddenly, 30 minutes here and 30 minutes there are actually getting me somewhere. I refuse to put an end date on Expecting Happiness, but it is slowly drawing to a close and feeling a lot stronger thanks to the amazing insight of my readers and all that time to think on my road trip. I am hard on myself, it is definitely a first work, but I am also incredibly proud that I’m sticking with it to arrive at a place I feel comfortable. I am also really excited about what comes next. I have a young adult book I want to write for my students (and share with them throughout the year), and a more brooding adult piece that will hit on the topic of human trafficking in a different light than what I have come across. I’m very excited! Wait. You’re going to the Oregon Coast again? That is so not fair. Where to this time? Family tradition to rent a big house each summer, headed to Bandon and Waldport, again. Made it easier to leave knowing I would return! Much like you, I imagine myself living there someday, or at least having a second home there. I find the Oregon coast magical. Glad to hear you found the post so useful! Excited to hear your reflections on continuing a practice on the road–I found it SO hard on top of everything else that traveling involves. P.S. 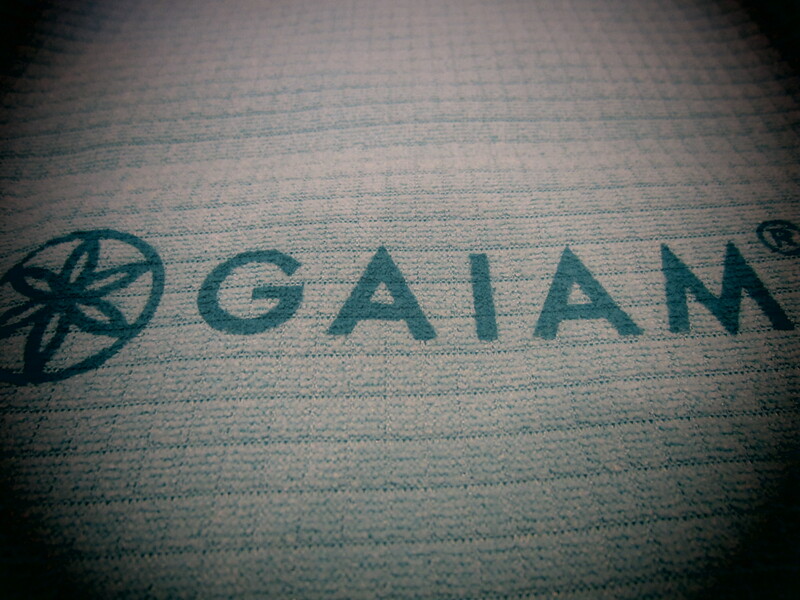 Still totally in love with the Gaiam mat–especially for Mysore or when I don’t need a lot of padding. Awesome investment!